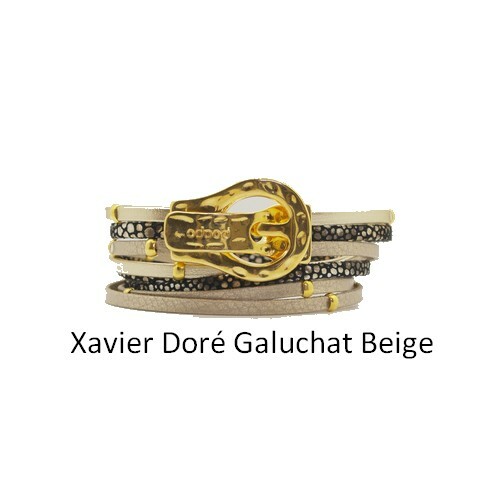 Bracelet leather woman, 3 rounds of wrist with leather straps and buckle gold metal buckle. 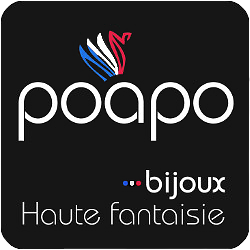 Poapo has been offering trendy jewelery since its creation. 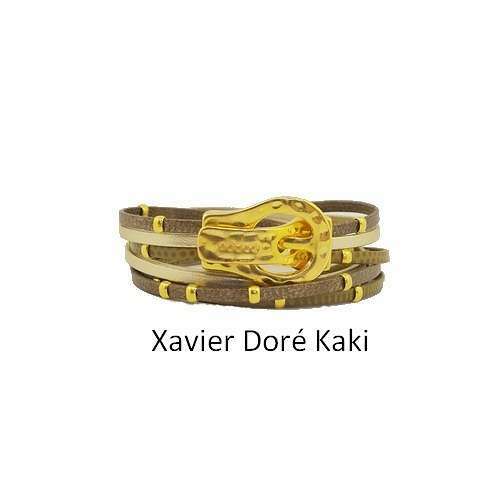 The winter collection is at the top of originality with mixes of sober colors. 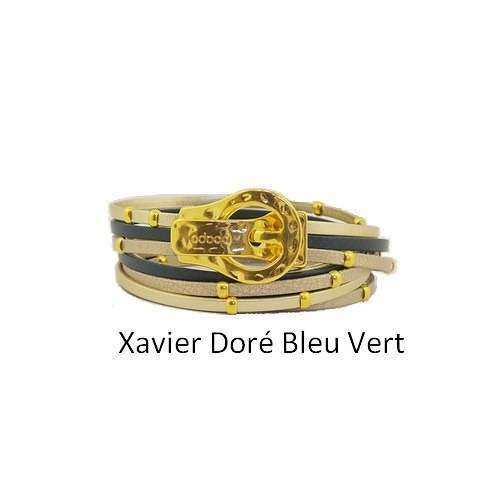 Our Breton workshop manufactures all of our jewelery by hand. 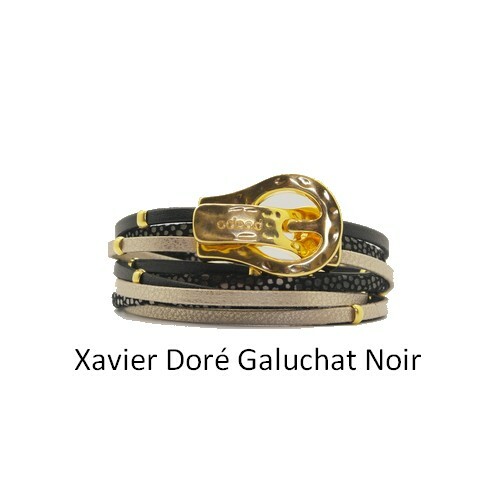 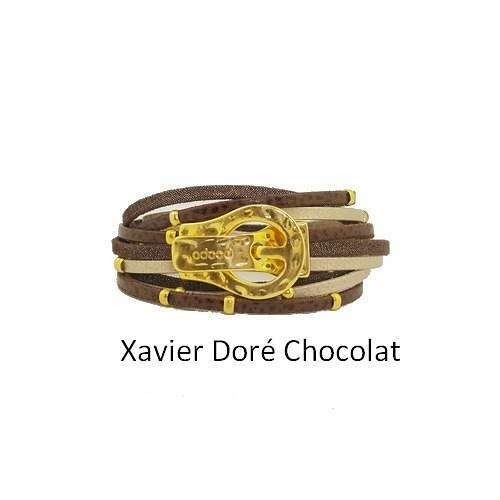 The Xavier Doré bracelet is available in 8 colors: Black, Blue, Green Blue, Khaki, Chocolate, Beige Galuchat, Black Galuchat,Orange. Our leathers are of European origin and are finely worked in France.